Radar technologies is one of the hottest subjects in technology. Air traffic is growing to unknown dimensions with a density of aircrafts in the sky that requires for experts and new solutions. Military experts need new knowledge in handling recent threats in homeland security, e.g., represented by drones. And industry is heavily applying radars as sensors, for instance in the automotive industries. Universities are not yet producing enough engineers to satisfy the growing demand and ramp up their equipment and staff. Why become a SkyRadar Distribution Partner? With thousands of potential customers in need of solutions everywhere in the world, SkyRadar is currently strongly extending its network. Being close to the customers and their needs means a win-win situation for everybody. With a full lineup of sales support, marketing material, training and support resources, we support our partners in this promising venture. Who would be a suitable partner? There is scope of joining the team for individuals and companies with many backgrounds. Distributors and solution providers in the education markets. You have close ties with universities and can use your strong implementation and trust relationship to support the customers in getting the best solutions for their needs. You are the ideal prospect for our distribution partner program. Distributors and solution providers in the radar, aviation or military market. Your core customers are in need of radar training systems. You make a perfect match for our distribution partner program. Freelancers, consultants, experts who are advising the target groups in need. You would very well fit into our affiliation program. You became aware of an upcoming project and might want to work on a project basis with SkyRadar. You might want to choose between a project based cooperation or participation in our affiliation program. You are established in one specific country? Join our national distributor program. With active support from SkyRadar, a promising growing market, and the best primary and secondary radar training system, available in the market. 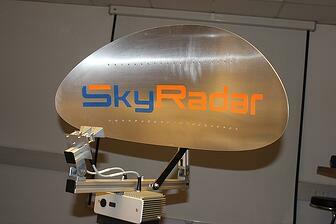 Contact: national-distributor@SkyRadar.com or give us a call (+33 695 327294). Your operate through a multi-national distribution network? Become a global distribution partner, with special alliance support. You are in good company. Contact: global-distributor@SkyRadar.com or give us a call (+33 695 327294). To explore your opportunities with SkyRadar, let’s get in contact. Please either email us at info@SkyRadar.com or give us a call (+33 695 327294).